Interesting facts about Nevada should give you something to think about and smile about. This list of Nevada facts is perfect for helping you to entertain your kids. These Nevada fun facts can be used as trivia questions to stump your family or entertainment to distract the kids during travel on your road trip with kids. 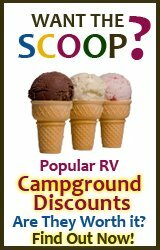 Many facts about Nevada presented here are also fun educational opportunities for your children. 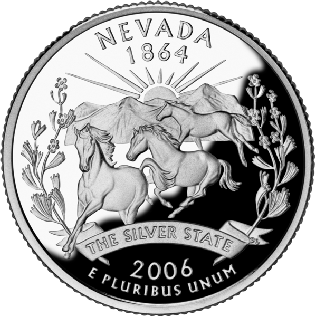 Read through these interesting facts about Nevada on your own then present them to your children as you move through the state. 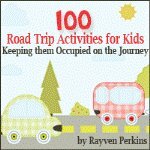 Even better, have your children read these Nevada facts and discuss what they find the most interesting and fun during your road trip with kids. What is there to know about Nevada that you don't already know? The 16,000-square-foot Reno Ice Pavilion was originally constructed in Atlantic City, NJ. Amazingly it was pulled apart and moved across the country to Reno at a later date. Any Luggage to Check In? If you have never been able to check your baggage outside of the airport while traveling, you must have never visited Las Vegas. Visitors to the Imperial can enjoy the strip and conveniently check their luggage before they even arrive at the airport. When Did Las Vegas Start? The Las Vegas Strip we enjoy today started out with just one lonely casino. The Pair-O-Dice Club opened in 1931. The Kangaroo Rat of Death Valley is best known for living a liquid-free life. It doesnt depend on water like humans. If you are interested in early Nevada pioneers and their lifestyles, you can visit Rhyolite. This is a ghost town in Nevada which displays remains from the old glass house, depot, bank, and a variety of other buildings no longer standing. If you thought Nevada was all desert and blazing sun, you were wrong. It turns out there is snow to be found in the Sierra Nevada Mountains at certain times of the year. The movie Vegas Vacation was filmed in Las Vegas. The area of filming is now home to Wayne Newton (singer and entertainer). Las Vegas is known for glittering with lights, but it turns out Nevada also glitters with gold. 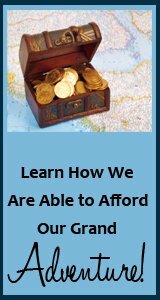 This state produces substantially more gold than any other state, and is only beaten by a few other countries from the world view. Up until around the 1870s, camels were pack animals in this state. This is one of those not-so-shocking interesting facts about Nevada: this state is the countys leader when it comes to the most hotel rooms in one state. That's enough of the facts, but what about laws that you may need to watch out for? Watch yourself when you visit the casino bar in Las Vegas. Nevada law makes it illegal for men to purchase drinks for more than three bar mates in a single day. While camels were once used as pack animals in Nevada, they were also well protected. It is still illegal to ride them on the highway. If you plan to wander the streets in Elko, Nevada, you will have to pack your mask. This is required attire for walking streets. If your name includes Smith, do not go to Reno. This name is illegal in this city. If you like to kiss women, do not grow a moustache. Men with moustaches are forbidden to kiss women in Eureka, Nevada. If someone comes onto your property and shoots your dog, do not hang them! Nevada law makes hanging a dog-shooter illegal. Las Vegas is a great place to pawn your valuables, but they draw the line at dentures. False teeth must not be pawned in this town. In Reno, shopping carts must be valuable. It is against the law in this town to spray paint carts and put them out for display in your basement. If you're tired of reading interesting facts about Nevada and are ready to start exploring, the end of the road has finally arrived. If, on the other hand, you just can't get enough Nevada facts, there are just a few more interesting facts about Nevada to consider. 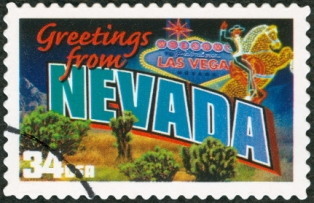 No presidents have ever been born in Nevada as of 2012.